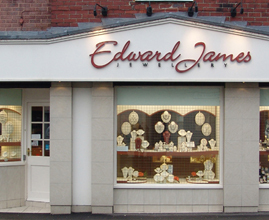 Established in 1988, the highly qualified team of designers, craftsmen, diamond graders and gemmologists, forming the manufacturing and retail independent, Edward James Jewellery of Sheffield, specialise in design led, classic and contemporary Diamond Engagement rings, Wedding rings, Eternity rings and jewellery including unique pieces, all set with high quality diamonds and coloured gemstones, individually selected for cut, colour and clarity. 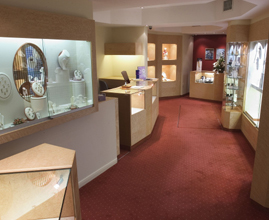 Designer jewellery from Skanshage and Gill Galloway-Whitehead, Watches from Citizen Eco-drive, Mondaine and Royal London, Silver and gold gem set jewellery from Elements, the Chamelia bead system, and brands; Fiorelli and Fred Bennett complete the stock range. 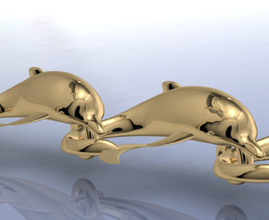 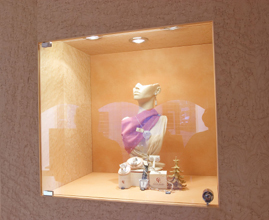 As design specialists we offer a very popular bespoke and manufacturing service for one-off commissions combining high quality traditional craftsmanship with the latest CAD CAM technologies so our customers can experience their dream creation in amazing 3D before we even start work. 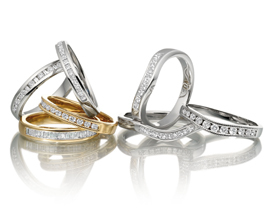 All our product lines can be made up with other diamond sizes or gemstone combinations and are available in Platinum, Palladium, 18 carat white, red and yellow gold and we are always very happy to advice and tailor designs to help meet with specific budgets. 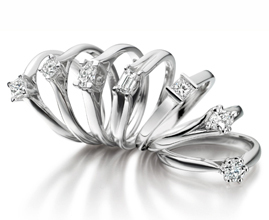 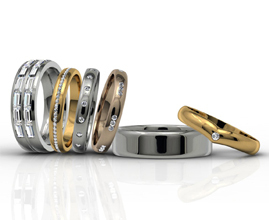 We also supply "sheffield stainless steel" and titanium wedding rings and jewellery; plain or diamond-set. 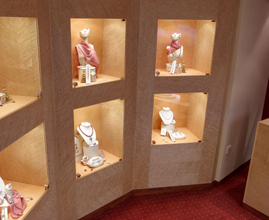 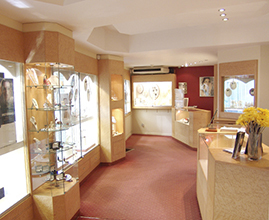 Other services include redesign and remodelling, restorations, old gold part exchange; excellent rates, Gem testing, high quality jewellery and watch repairs and valuations for insurance/probate etc. 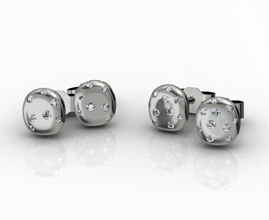 Read Customer Reviews.